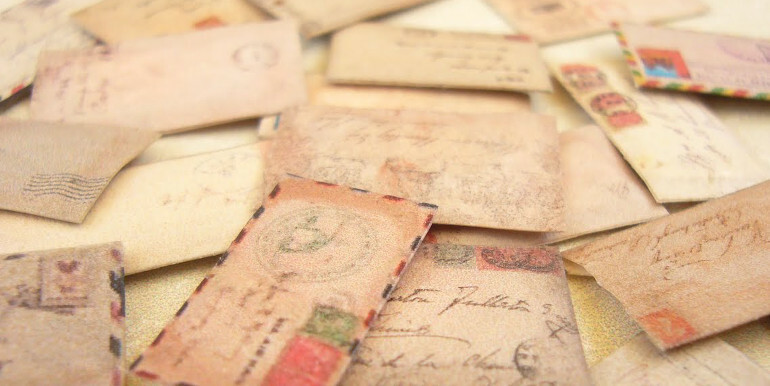 There was a news story a number of years ago about a woman, who received a letter from her deceased husband, sent 56 years earlier, but never delivered to her. It had been sent to her while he was serving in the military during World War II. She excitedly opened the letter with trembling hands and tears welling up in her eyes, anticipating a love letter from her dear husband from so many years ago. But when she opened the letter a wave of disappointment swept over her. All that was inside of the envelope was a blank postcard with a stamp on it. Her husband had been an avid stamp collector. He had apparently mailed the postcard to her to have the stamp added to his collection. The woman said after opening the envelope, “What a dud! After all these years, I had hoped it would be a mushy, ‘I love you’ letter.” Disappointment seems too small of a word to describe what that woman must have felt when she opened the envelope. Life is like that sometimes. We are so full of anticipation that we almost explode and then the “envelope” is opened and it’s a “dud.” It doesn’t live up to the hype. The expectation far exceeds the reality. There is only one thing I have ever experienced that has lived up to the hype and not let me down. That thing is a relationship with God through Jesus Christ. Of course, life still disappoints me sometimes. I am not immune to the storms that move through our lives. When I began to follow Jesus Christ, I didn’t receive a “Get out of life’s troubles free” card. But I no longer have the feeling of facing life alone. I have someone who stands beside me in all things. I have someone who actually carries me at times when I am too weak to go on.